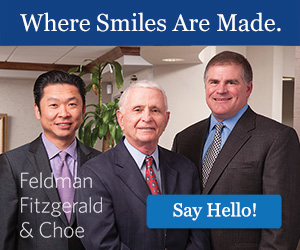 Looking for Baltimore’s most highly regarded dentists? We did the research for you. By Ken Iglehart and Rebecca Kirkman. Photography by David Colwell. Shopping for the region’s most talented maestros of the mouth? Here are the results of our annual Top Dentists survey, offering a handy resource to readers. To arrive at our list, we surveyed more than 2,000 dentists in Baltimore and five surrounding counties over the course of several months to find out where they would send a member of their own family. Since most dentistry is local, we then divided the winners by location (winning dentists with more than one office may be listed in more than one geographic zone). While doing the research, we also learned that a great many local practitioners use their skills in various charitable ways. 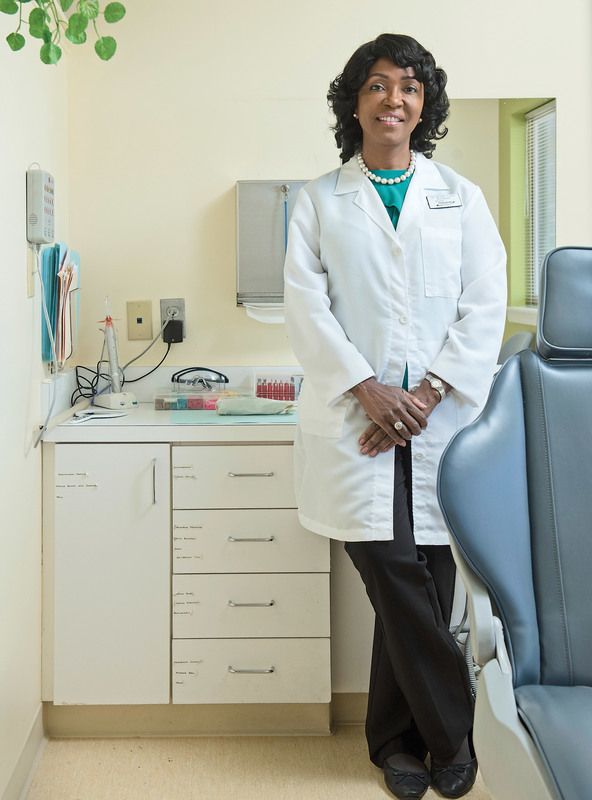 In “Mission to the Mouth,” we take a look at one cause in particular, in which hundreds of DDS staff and volunteers bring free dental care to thousands of low-income Marylanders every year. 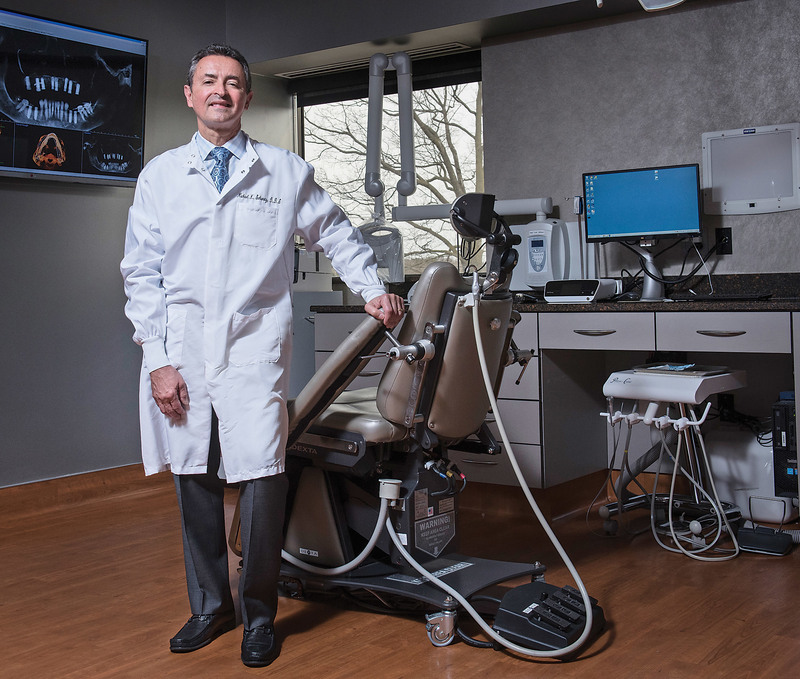 Assisting us in the survey this year was Dr. Eric Resh, a general dentist who practices with his brothers at Resh Family Dentistry in Hampstead, a practice that dates to 1893. 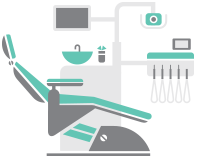 Resh’s specialties include cosmetic and restorative dentistry, oral surgery, root canal therapy, sleep dentistry, and orthodontics. 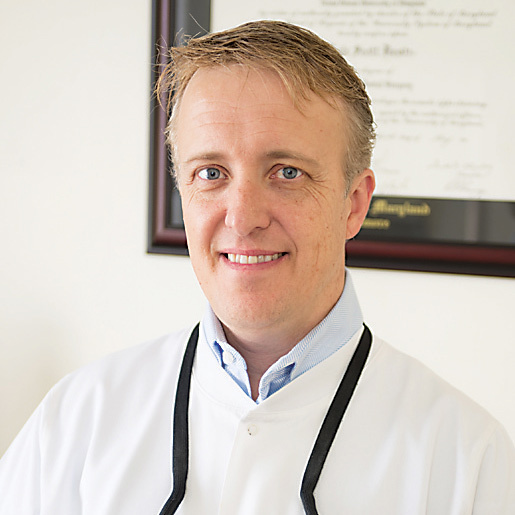 He completed his doctorate of dental surgery at the University of Maryland in 2002 and is an active member of the American Dental Association, Academy of General Dentistry, Maryland State Dental Association, and Carroll County Dental Association. Tap here for the full list of winners! 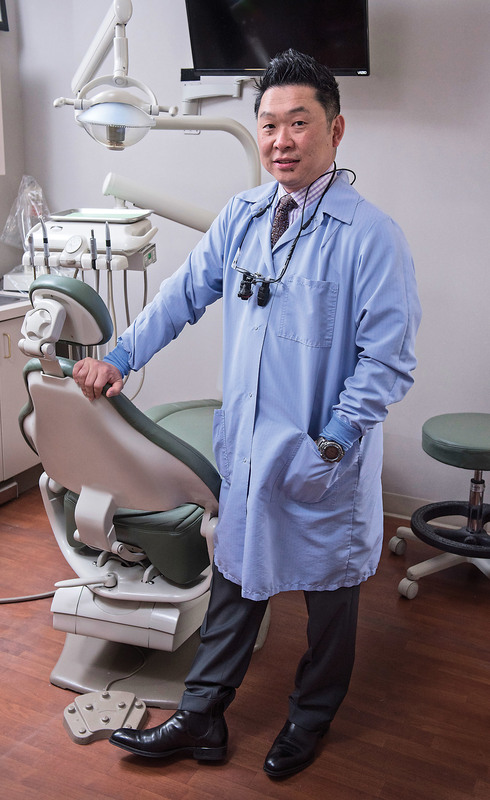 Local dentists pull out all the stops at massive clinics to treat the poor. 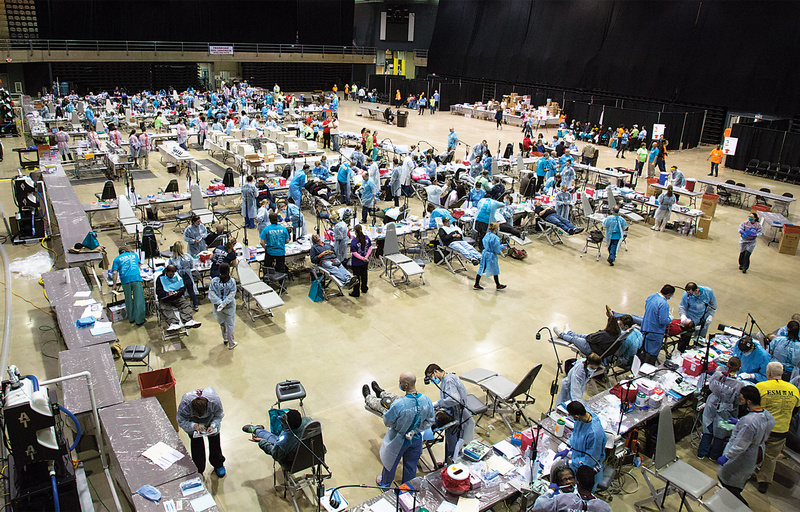 Mission of Mercy holds dental-triage marathons, providing an estimated $1.2 million in free care over the years. She found a solution to her problems, however, in an unlikely place: the sprawling fairgrounds in neighboring Allegany County, one of the Maryland locations where, each year, hundreds of volunteer dentists and staff from practices all over the state convene, their dental chairs and equipment arranged in long rows. Their mission: to provide mass treatment for hundreds of patients like Kathy—no cost, no questions asked. Mission of Mercy (MOM) holds such dental-triage marathons in high-school gyms, civic centers, and armories every year—the most recent one was at the Wicomico Youth & Civic Center in Salisbury in March. Stats gathered from another recent MOM event give a good picture of just what’s involved: 116 dentists, 61 University of Maryland School of Dentistry students, and dozens of dental assistants volunteered their time, providing an estimated $1.2 million in free care, from fillings and root canals to X-rays and surgical procedures. (Free vision screenings and eyeglass donations were going on in another part of the space as well.) It was funded by more than $100,000 in monetary and in-kind donations from companies, foundations, dental practices, individuals, churches, and dental societies, including the Maryland State Dental Association Charitable and Educational Foundation (MSDAF). And it drew lower-income patients not only from Maryland (560 patients), but also from Delaware (381) and a smattering of other states. And the Top Vote-Getters Are . . .
A closer look at the attendees of that event makes the need clear: More than half made less than $15,000 annually, and 72 percent either didn’t have enough insurance to cover the procedures or had no insurance at all. Started in 2010, the mass-treatment clinics draw hundreds of patients who register in advance, then wait patiently to be called on a first-come, first-served basis. But the need is still great, despite the volunteer dentists’ efforts. Romaine points out that Maryland is one of only four states in the country that don’t have an adult dental Medicaid program. And that dubious dental distinction was the impetus behind legislation passed in Annapolis in April that authorizes a study to look at the cost to Medicaid of emergency-room visits by adults with chronic dental conditions. It also authorizes the governor—though it doesn’t require him—to fund a Medicaid adult-dental benefit in a future budget. Now Are You Going for That Checkup? If you think that getting careless about dental hygiene will just lead to stains and the occasional cavity, you might want to think again. To get the definitive list of all the scary afflictions dental problems can cause, we went to Dr. Karl J. Zeren, a Baltimore dentist specializing in periodontics, dental implants, and reconstructive surgery, who also teaches at the University of Maryland School of Dentistry and The Johns Hopkins School of Medicine. 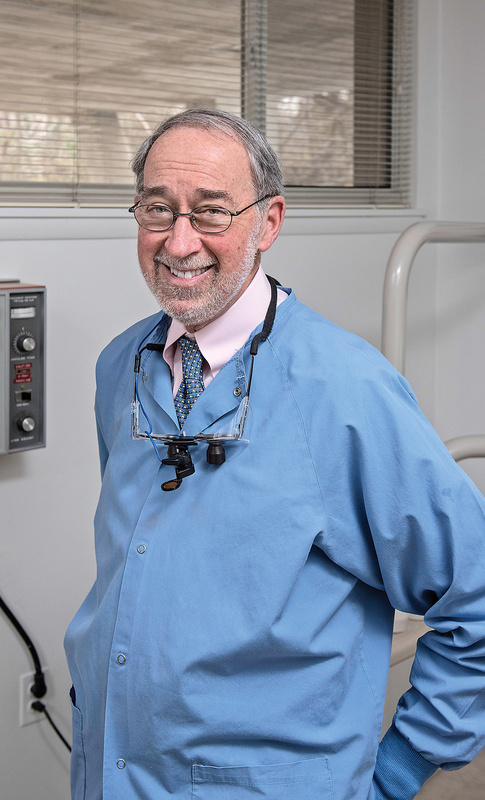 Also pitching in was Towson dentist Dr. Jay Shires, a perennial winner in Baltimore’s Top Dentists peer survey and a dean’s faculty volunteer at the University of Maryland dental school. Decay It’s still the most common disease in kids and adults, and there’s been an upsurge due to sugary food, energy drinks, and acidic foods such as carbonated beverages, which contain a lot of both acid and sugar. For children, decay can lead to loss of arch width, which predisposes them to crowding of their adult teeth. In adults, decay can lead to infection and tooth loss, causing changes in masticatory harmony—how the teeth work together with the muscles and temporomandibular joints to chew. This can cause headaches or neck pain. Chronic Inflammation If due to periodontal disease, this showers the bloodstream with toxins and can stress the immune system. Mental health: Inflammation in the mouth causes plaque to build up in the arteries, affecting nerve cells in Alzheimer’s patients. Breathing Problems Periodontal problems can cause chronic respiratory disease and aspiration pneumonia from swallowing saliva with bacteria. Gum Infections Because well-entrenched infections can cause bacteria and toxins to enter the bloodstream, they’re associated with thrombosis (blood clots that can trigger strokes). Cancer Inflammation can foster the proliferation of abnormal cells, which has been correlated with cancer risk. Loss of teeth It can affect one’s speaking ability—you lose phonics, especially words with “v” or “th.” It’s the teeth that make speech crisp. 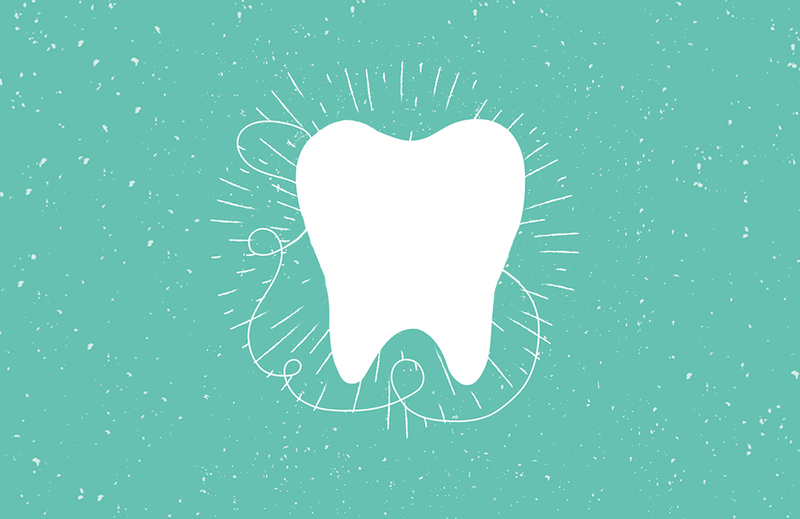 Once you lose a tooth, the bite also starts to change, which can contribute to clenching and grinding, and the inability to chew certain foods—which can cause nutritional deficiencies. Abscesses If decay gets bad enough, it can cause the nerves of the tooth to die. The only way the body can deal with that is swelling or tooth abscess. The resulting infection can start invading different planes of the head and neck around the airway—those areas delineated by the muscles and facia. That can compromise the airway, especially if you’re immunocompromised or have diabetes. Childbirth complications Gum infections in cases of high-risk pregnancy can cause preterm and low-weight babies. We’ll spare you the often gruesome “before” photos of some of these patients, but suffice it to say, the restorative work done in just a couple of hours by the dentists is nothing short of remarkable. He welcomes the seeming impossible cases: “I’ve worked closely with Dr. Marc Nuger, who runs the triage at most of the MOMs—he saves the most challenging patients for me.